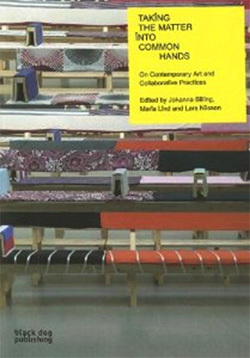 ♦ Taking the matter into common hands : on contemporary art and collaborative practices, edited by Johanna Billing, Maria Lind and Lars Nilsson, Black Dog Publishing, 2007. ♦ Cézanne/Pissarro, Johns/Rauschenberg : comparative studies on intersubjectivity in modern art, Joachim Pissarro, Cambridge University Press, 2006. ♦ ‘Two Concepts of Liberty’ in Isaiah Berlin (1969) Four Essays on Liberty, Oxford Paper Backs, 1969. ♦ A History of collective creation, ed. Kathryn Mederos Syssoyeva and Scott Proudfit, Palgrave Macmillan, 2013. ♦ Multiple Authorship and the Myth of Solitary Genius, Jack Stillinger, Oxford University Press, 1991. I’m a first year student at Glasgow University studying History of Art, Scottish Literature and Philosophy. Intersubjectivity provides the impetus and substance to all conceivable courses of development.